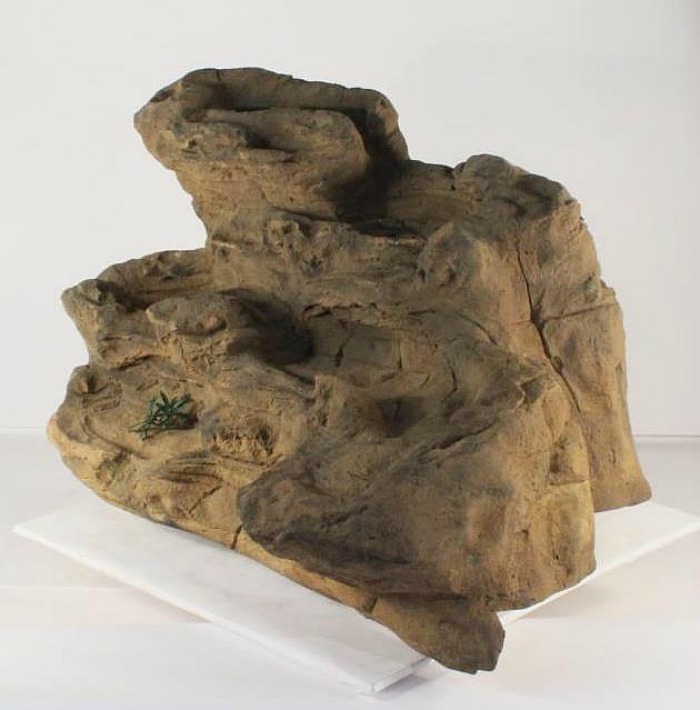 One of the primary advantages of artificial rocks is that it allows us to be very creative in designing a water feature of choice. 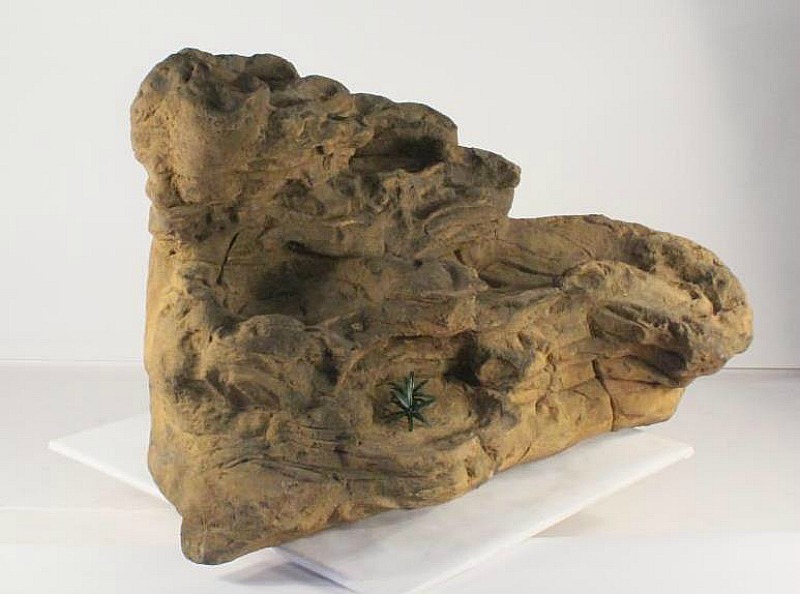 Our absolute breathtaking large Serenity swimming pool waterfalls kit complete with edge rocks is an excellent example of a three piece 11' pool rock designed for the swimming pool landscape. 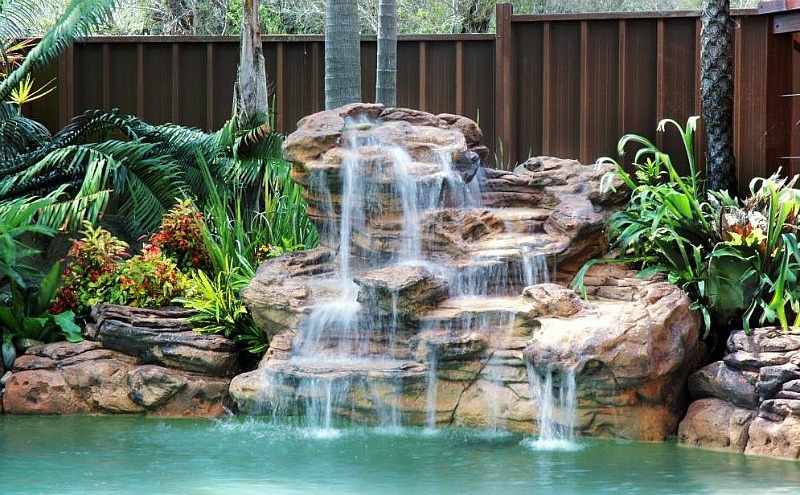 This beautiful pool waterfalls rock has five small pools or pockets of water with cascading and falling waters throughout this cool waterfall design. This spectacular swimming pool waterfalls called the Serenity has a main waterfalls rock that's about 37" high and 68" long. The specially designed edge rocks gives this gorgeous pool waterfalls a complete rock formation for a tropical water garden paradise for your swimming pool oasis. This awesome backyard pool landscape feature and pool waterfalls kit comes with a 1.5 inch (40mm) water outlet fitting that can easily be hooked up to your existing pool pump. L 68" x W 55" x H 37.5"